Knowing how not to get caught in a forex scam should be your topmost priority when you enter the forex market. In my experience, most forex brokers are honest. After all, they do have to maintain their reputation if they want to attract more business. However, as in any other field, dishonest individuals do exist and if you are unlucky enough to cross their path, you are likely to fall victim to a scam. So what can you do to avoid getting involved in a forex scam? This is the absolute first thing you should do. Every broker has to have a license to conduct trades. If the broker does not have a license, strike them off your list right there and then. Today, all brokers have websites and the site will usually have a license and regulation page. Make sure all is in order before you proceed. It is illegal for brokers to practice without a license and those who do should be treated with suspicion. What Is The Support The Broker Offers? It’s not easy for a broker to function efficiently without a proper support team. A good broker will have a team in place that will be available 24/7. After all, the forex market is open 24 hours so a support team that is available only for a few fixed hours every day is not good enough. Look for a broker who is available to you throughout all forex trading hours, whether it is via email, phone or live chat. Don’t just take their word for it. Test it out before you hire the broker. Call them at all hours and see if the support team really is in place. If it is difficult or impossible to get a response, this is not a broker you want to deal with. What does the broker’s website look like? Does it look like a lot of time and trouble has gone into developing a site that looks appealing and is easy for traders to navigate? 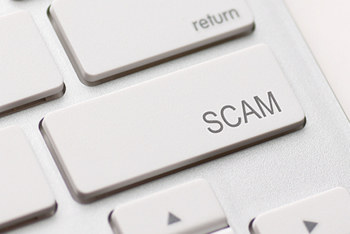 Most scam brokers will not have well developed website. After all, someone who is in it just to make some easy money is not likely to take the time and effort or spend money on software that is required to build a proper website. Compare this with established brokers’ websites, which are constantly updated with improved features for enhanced user experience. Today, many brokers even offer mobile trading and signals apps that you can download. Stay away from any broker who has a shoddily designed website with bare minimum features. Reviews tell you a lot about the broker. In fact, I always start with reading the reviews before I even check out the other features. Readers who have been victims of a forex scam will be very vocal about their experience. They will want to warn everyone not to deal with that broker again. Also with the explosion of social media, it’s a good idea to check out their social standing on Twitter, Facebook and others. Do they have a reasonable amount of followers? Can you spot a range of genuine interactions or are there mainly complaints? With anything new, always undertake some due diligence which will help you sift through and acquire the best services.